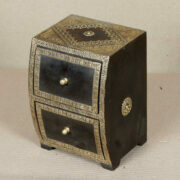 Natural finish Indian Rosewood Box. 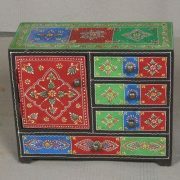 Handcrafted in Rajasthan India, this vintage sheesham box is approximately 50 years old. 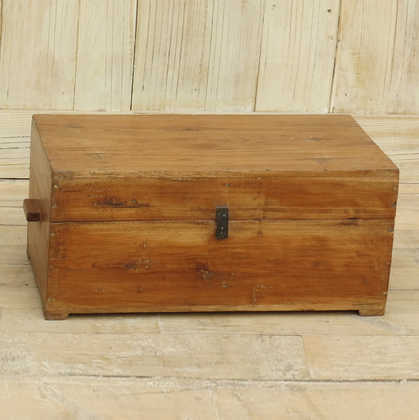 Extremely well crafted, this box has two wooden handles on either side and a metal clasp. 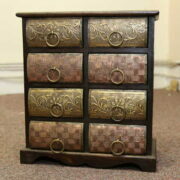 The lid lifts up to reveal is ample storage. 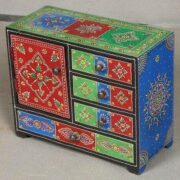 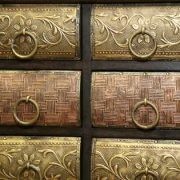 The natural finish of this box really demonstrates the beautiful nature of Indian rosewoods grain and this item would make a wonderful addition to any home or as a gift.